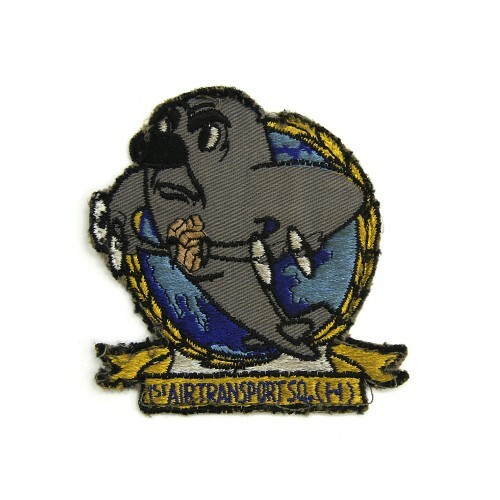 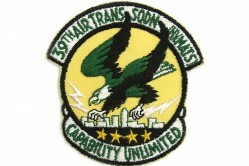 Assigned to the Military Air Transport Service (MATS), the 1st Air Transport Squadron (H), or 1st ATS, was active from 8 September 1954 to 8 January 1966. 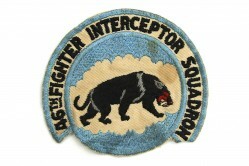 During this time the squadron was stationed at Dover AFB, Delaware, assigned to the 1607th Air Transport Group (ATG). 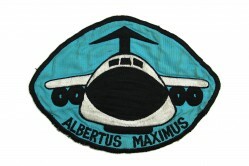 The squadron flew C-54 Skymaster, C-124 Globemaster II, and C-133 Cargomaster aircraft hence the H designation for Heavy in the squadron name. 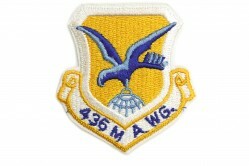 Now the 1st Airlift Squadron (AS), it is currently assigned to the 89th Airlift Wing at Andrews AFB, Maryland. 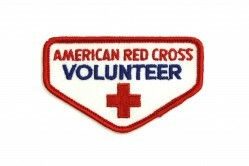 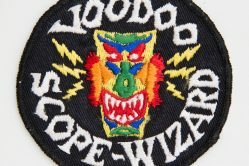 The patch depicts a cartoon C-133 aircraft carrying a load of cargo between its wings.